Increasingly socio and environmental conflicts are one of the most fundamental challenges facing the Latin America and Caribbean (LAC) Region. It has been estimated that there are over 700 of such conflicts in the region (ECLAC Report 2013). The backdrop to these conflicts is continued pressures for speedy large scale development against civil society movements looking to preserve cultural, social and environmental values. While some countries in the LAC Region have developed legal and practical means to ensure transparency, public participation and accountability in environmental decision making others in the region have made much slower progress. Opportunities to learn as a region from country experiences and innovations still need to be nurtured. Gaps exist in national legislation and practice that need to be improved systematically through regional processes. 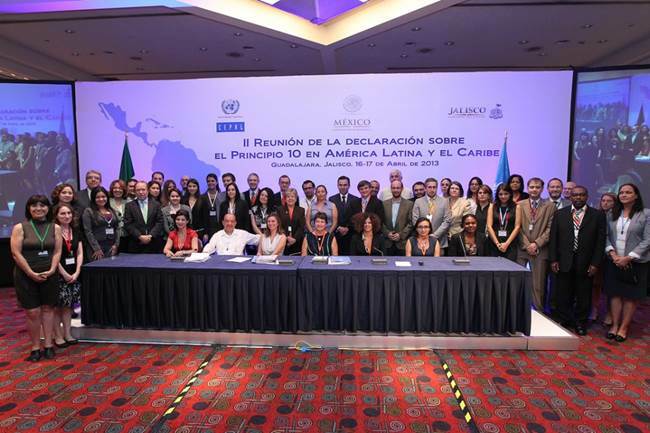 The LAC Declaration is a political commitment from countries in the region to work to reform and improve transparency, public participation and access to justice (called access rights). 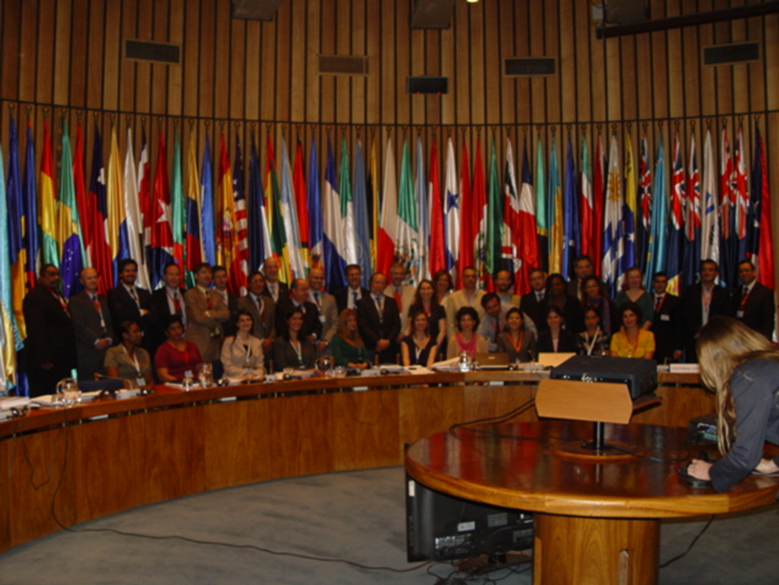 Ten Latin American and Caribbean (LAC) countries, Costa Rica, Chile, Dominican Republic, Ecuador, Jamaica, Panama, Paraguay, Peru, Mexico, and Uruguay, signed the 2012 Declaration on the application of Principle 10 of the Rio Declaration on Environment and Development in Latin America and the Caribbean (“the LAC Declaration on Principle 10”) at the United Nations Conference on Sustainable Development (Rio+20) in June 2012. Signatories to the Declaration agreed to support the development of a regional instrument ranging from guidelines, workshops and best practices, to a regional convention which will strengthen access to information, encourage public participation, and strengthen access to justice in sustainable development decision‐making. 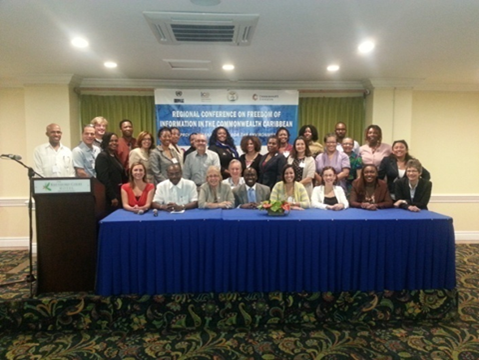 The WRI’s LAC Regional Principle 10 Declaration project includes promoting the full engagement of civil society in this process measured by the participation of stakeholders in national level networks in capitals and supporting the achievement of the broadest rights of the public in negotiations. The declaration includes a commitment to develop a regional instrument that will address current capacity and cooperation gaps as well as propose standards for legal and practice reforms. The LAC project includes promotion of an agreement that is ambitious, achievable, and accountable, reflecting the input of experts from civil society throughout the region, in partnership with the larger public. Developing a regional legally binding agreement: A working group has been set up to address the scope and form of the regional agreement. Building a strong model: A regional treaty on access rights, as demonstrated by the European Aarhus Convention on Access to Information, Public Participation, and Access to Justice (regional convention for the UN Economic Commission for Europe) can provide one of the most efficient and effective means of accelerating implementation. Working to exchange experiences between European and LAC Governments and civil society is pivotal to the success of this process. Creating Lasting Impacts: A regional convention in Latin America is likely to have a significant impact on the spread of access rights and provide a powerful lever for civil society to push for better environmental and human health safeguards as well as preventing conflicts and avoiding negative impacts on those most vulnerable.